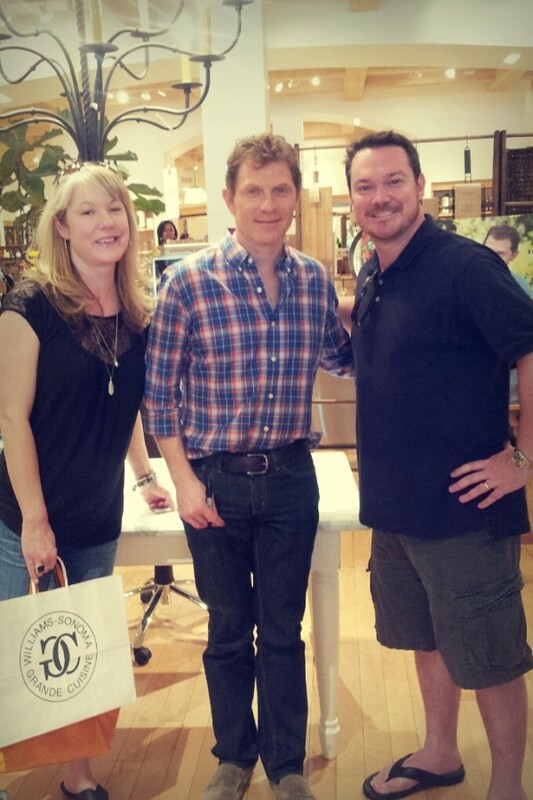 In a happy coincidence last weekend, we went to our local mall for lunch and to pick up a few things at Williams Sonoma, on the very day that Bobby Flay happened to be there signing copies of his latest book. We didn’t plan on getting a book signed, especially since we already have one (an awesome gift from my parents) and there was a huge line of people waiting already. So we enjoyed a leisurely lunch, and by the time we got to Williams Sonoma to do our shopping, the line had dwindled to less than ten people. So we bought a book, jumped in line and just a few minutes later had an autograph and obligatory photo. Celebrity-chef stalking at its easiest! 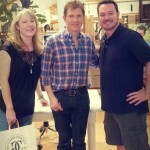 When we finished awkwardly standing there while he signed our book schmoozing with Chef Flay at Williams Sonoma, we purchased my new favorite kitchen gadget: the julienne peeler. One side of the tool is a regular vegetable peeler, and the other side is where the magic happens — the tiny serrated blade shreds veggies into perfectly julienned strips. Although we already have a mandolin slicer (which is a better tool for bigger slicing jobs), this little peeler is perfect for turning a couple of zucchinis into “spaghetti” in a flash, without any of the fuss (or fear that you might accidentally slice off a finger.) Simply cut off the bottom end of the zucchini (keep the top end intact to use as handle for holding the zucchini), cut a thin strip lengthwise off one side of the zucchini so it will lay flat on the cutting board, then drag the peeler from the top to the bottom of the zucchini to cut it into strips. Wrap the zucchini “spaghetti” in a couple of paper towels and squeeze out the excess moisture, then saute the spaghetti in a little olive oil for 2-3 minutes and toss with the sauce of your choice. We served ours with a tomato basil sauce (leftover from our latest pasta of the month club delivery — so good) for an easy, delicious and super healthy side. Speaking of tomatoes, ours are on their way! All of our plants have a few baby tomatoes just beginning to grow, in addition to tons of flowers that will hopefully mature into tomatoes as well. Our crop last year was so good that we can barely stand store-bought tomatoes, and we’re hoping for more of the same this summer. 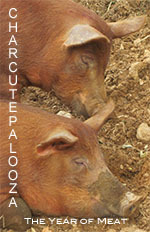 And speaking of summer, the Texas heat has yet to rear its ugly head, and we are more than okay with that. In fact, we had record-setting low temperatures yesterday and last night. 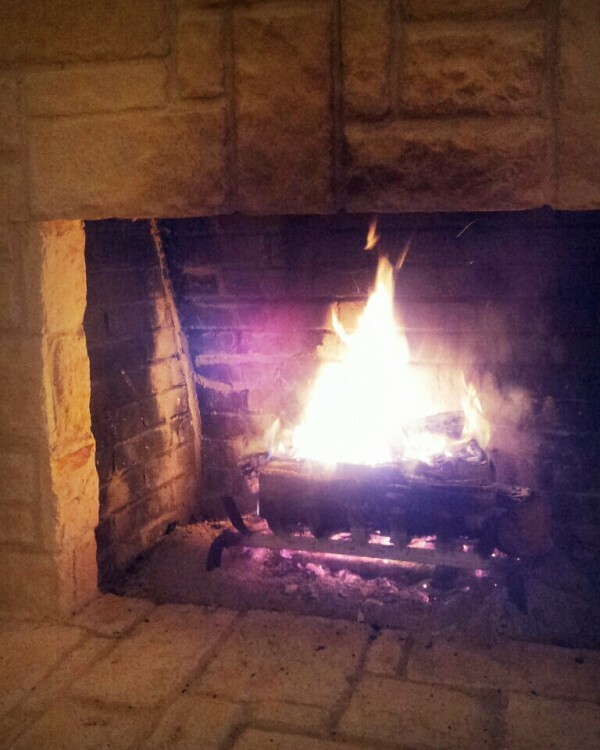 It was actually cold enough for a fire in the fireplace — in May! 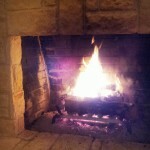 — which is unprecedented for these parts, and we thoroughly enjoyed our final fire of the season. Many thanks to my friend Paula for properly kicking off my birthday weekend (when your birthday is on a Saturday, celebration of the entire weekend is required) by treating me to a pedicure and introducing me to a restaurant that is sure to become one of our favorites: Whiskey Cake. Cool name, even cooler place, with an eclectic farm-to-table menu, innovative from-scratch cocktails and an awesome hip-meets-rustic-meets-comfortable atmosphere. We’ll be back. Thanks Paula!